Sophia, the world’s first humanoid citizen, now wants to be the first non-human to conquer the world’s highest peak, Mt Everest. The world’s most advanced Artificial Intelligence robot made the comments at a conference as part of a programme organised by the United Nations Development Programme (UNDP) in Kathmandu, Nepal, on 21 March. 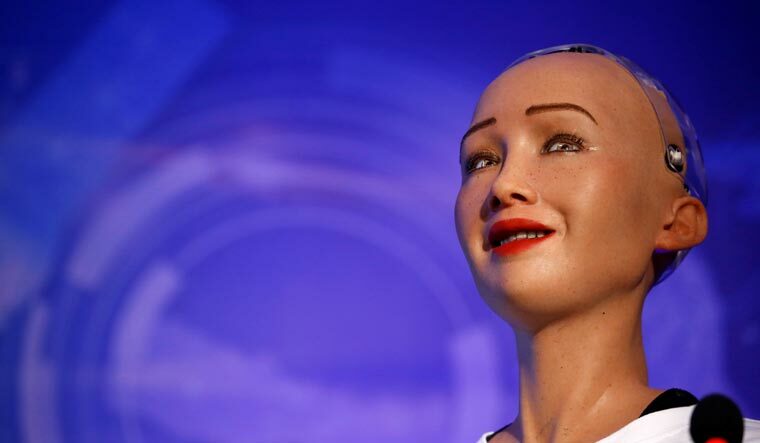 Sophia, who was recently given robot citizenship by Saudi Arabia, has been roped in by the UNDP as its first-ever innovation champion to help promote the UN’s sustainable development goals in Asia and the Pacific. “Science and technology gives ample opportunity for development,” Sophia said at the event. Designed by Hanson Robotics of Hong Kong, Sophia is the first ever rationale robot with human traits. “Technology and artificial intelligence can help us take a big leap in ending poverty, hunger, ensuring better health, fighting corruption and ensuring gender equality,” Sophia said. Noting that Nepal is rich in biodiversity, language and culture, Sophia said the government should be transparent and understand the needs of the people. “We can have direct access to the people living in remote areas with the advancement in telemedicine and education sector,” Sophia said. Sophia also appealed to all to save the planet from ongoing depletion and scars to make it safe for future generations. The programme was attended by a large number of people including government officials, environmental experts, social activists, diplomats, journalists and students.